The Leather Bowery is a handsome Italian leather bag that’s perfect for on-the-go photography. 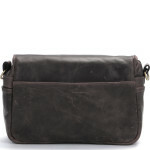 Small but distinctive, sling over your shoulder or detach the straps to store safely in a larger bag for travel. Holding a DSLR and lens or mirrorless system and two lenses, with five exterior slip-pockets, keep your essentials organised on the move. 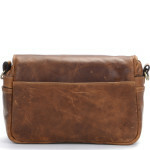 With a detachable strap for use as an insert for non-camera bags, it’s a versatile choice for men. 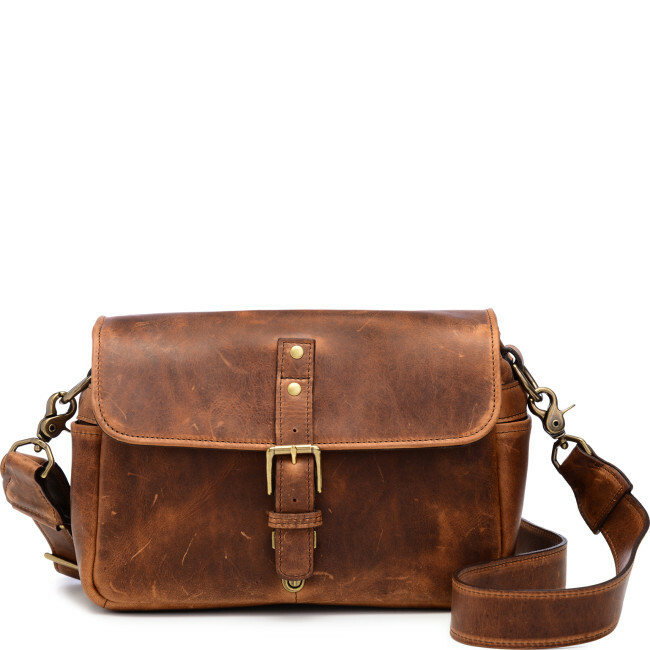 Made from Italian, tanned leather with timeless antique brassware, it’s a stylish bag that’s built to endure and age gracefully. The fully foam-padded interior gives you peace of mind that your camera is protected, with a removable divider to keep your gear secure on the move. 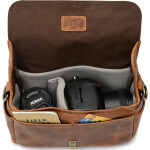 Discreetly carry your DSLR and lens or mirrorless camera and two lenses, in this compact camera bag. Lightweight at just 1kg, it’s perfect for street photography. Organise your memory cards, tickets, passport, and phone in the streamlined exterior pouches, for instant access when you’re in a rush. Unclip the strap to use as an insert for larger bags and luggage; the padded interior will protect your valuables on long journeys. The Bowery Camera Bag meets the diverse needs of the modern photographer, a compact companion for both day shoots and travel. Serving as a stand-alone bag or insert for luggage, it’s an attractive and well-built camera bag. The inner compartment accommodates either a DSLR and one lens, or mirrorless system and two lenses, with closed-cell foam padding to protect your gear on the journey. Easily access your camera with the convenient tuck-clasp lock, with five streamlined slip-pockets on the exterior for accessories and personal items. 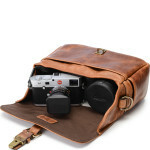 Handcrafted from premium Italian leather, with side weather flaps, it’s great for street sets and outdoor photography, and slings easily over your shoulder with the detachable strap. 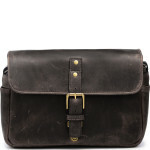 Complete with classic brass hardware, it’s a stylish bag or insert for the constantly-moving photographer. 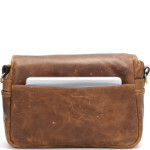 The quality tanned leather is water-resistant and extremely durable. 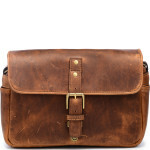 However, to prolong the lifespan and appearance of your bag, reproof occasionally using a mild leather cream. An American brand that offers contemporary photographers a stylish alternative to the standard camera bag, Ona was established in 2005. Meaning ‘to experience with the eyes’ in Swahili, Ona creates bags that mould around the lifestyle of their owners, each handcrafted from high quality materials.